THE MEET & GREET IS NOW COMPLETE ! NOW ON TO OUR OUR SANTA FE TOUR . Sunday : We meet starting at 6:30.Please be there no later than 7:15 am at the Victory Christian school , El Pueblo and 2nd st. NW. We will convene and go from there. The meeting site should provide excellent viewing until we enter the fairgrounds. So , Hot Air & Corvairs . Imagine it. 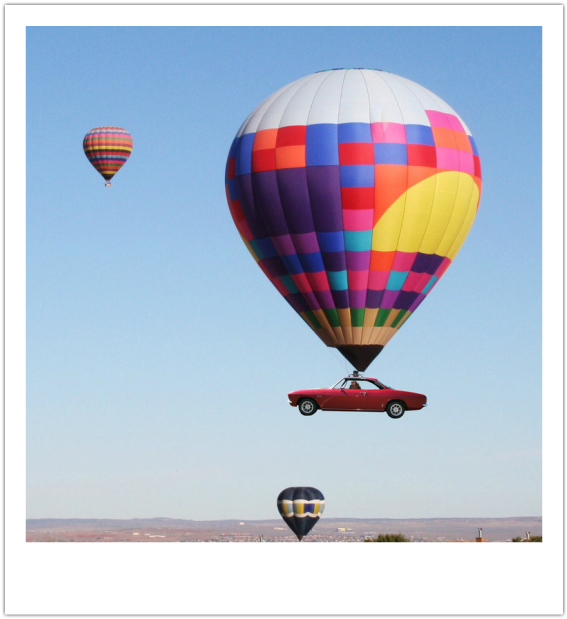 Be there for all the hot air & CORVAIRS! This event actually runs from October 6-14th. You may choose to continue your stay and take in the activities during the following week. Here is the link to the official schedule of events at the balloon fiesta. Corvairs of New Mexico will also assist you should you care to visit other areas of interest in and around Albuquerque or the surrounding area . You'll probably run out of time before you run out of places to go. We have a wide variety .